From 1988 to about 2009, the ice was moving the other direction into the North Atlantic. That is what caused the decline in Arctic Sea ice. Reggie will have no chance to melt that kind of ice with his blowtorch. A gloomy summer for alarmists. It will be interesting to see what happens in Greenland this summer with a lot of thick ice around. Last winter a lot of snow fall, I do not know what happened this winter. 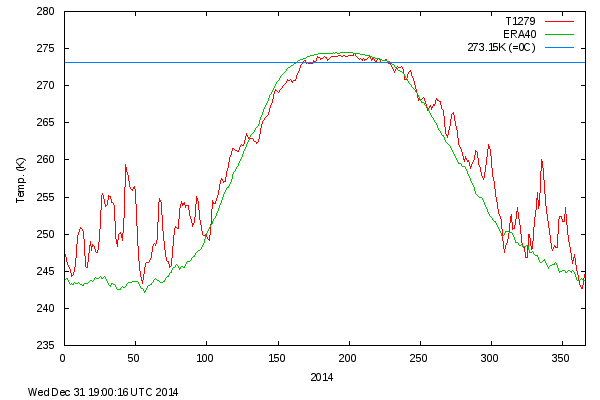 summer melting was a lot less in the summer of 2013 than 2012 in Greenland. The Eastern shore of Greenland is the source for its (moisture and) snowfall. As those waters have become increasingly open, low pressure systems augmented by the Polar Easterlies have added prodigious amounts of snow to central Greenland, even as its Western edges calve their glacial rivers. 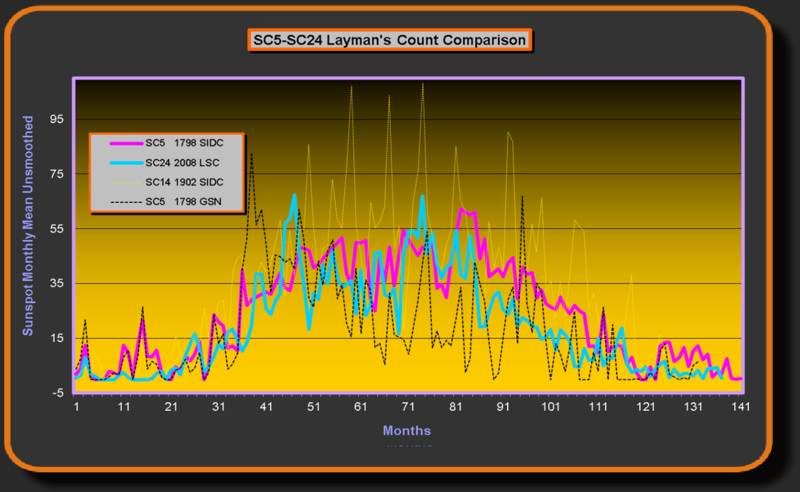 From a volume standpoint Greenland is likely gaining snow/ice. Re-cover? Wassamatta with open seas? Warm > cold. New disovery: Warm river water melts arctic ice. So maybe it isn’t ice albedo feedback™ after all. It’s all that evil CO2 warm arctic amplification river water. No dirty secret here. It has nothing to do with the winds. The ice is recovering because of the ice dam that holds back the warm MacKenzie river waters. It broke in 2012, allowing the river to flow into the Arctic Ocean and melt it. Thanks to global warming, the ice dam is back in place now. 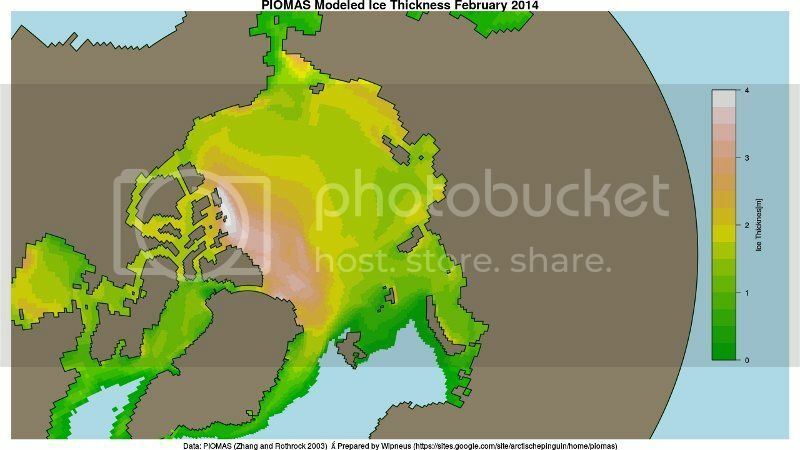 That’s why the ice is recovering, not because of winds. Before reading Phil Plait’s Bad Astronomy blog yesterday, I mistakenly thought that when a river is dammed, a reservoir forms behind the dam. I mistakenly thought that water could flow under surface ice. But now I know better. An ice dam is a special type of dam. The ice dam prevents the entire river from flowing. Even the tiny tributaries that feed the river are suppressed until the ice dam breaks. Sea ice is a very special type of ice. A thin layer on the surface can hold back an entire river. The mighty river is incapable of flowing under the thin surface ice. Now, seriously, what caused the winds to blow until recently in the “wrong direction”? would tend to create an average pressure in the direction of N. Atlantic. and this would have caused the winds to change back to the “right direction”. Are the winds over the Arctic driven by the energy from the sun and Earths orbital parameters around it, or is it driven by the composition of the entire planets atmosphere? No sun in the winter sparky. The Sun is there all of time Stewarty. OTOH, I really think that the increased radiations of the “2nd peak” of the present solar cycle (#24) have affected negatively the Arctic ice in the last few months. 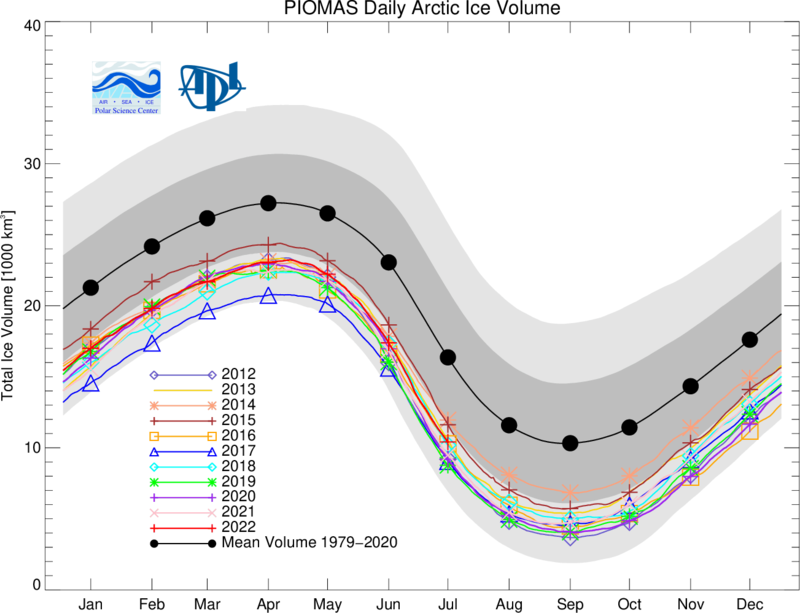 These parameters vary slowly though and could not cause the oscillations of Arctic ice or recent decades. 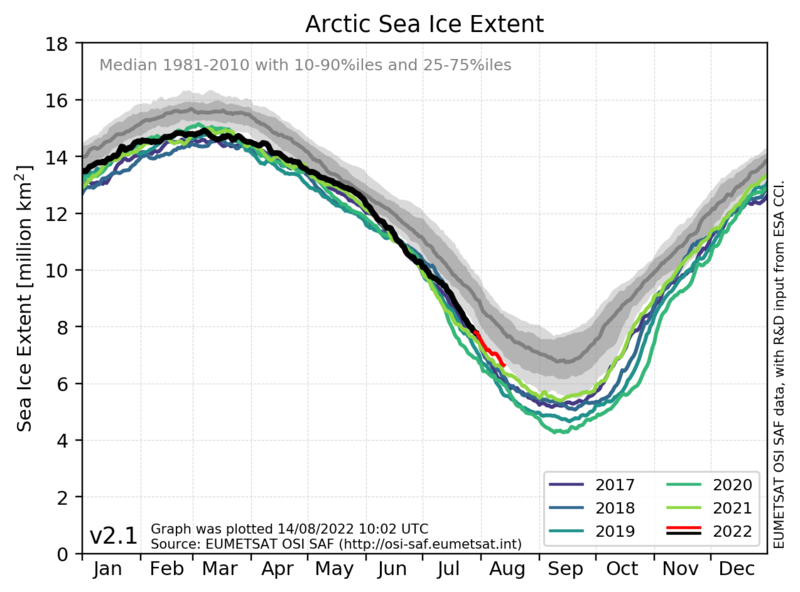 What I find most impressive is how fast the Arctic ice “reacted” to the increase… the fast fall of the Antarctic anomaly in the last couple of months too I believe reflects this “forcing”. I think Earth’s low magnetic field and low humidity of the atmosphere are to blame for this high “sensibility”. The Sun is NOT SHINING on the pole yet and just peaking over the horizon for ~10 hours at lower latitudes. 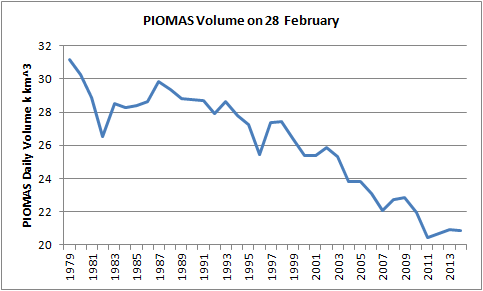 So what does a reduction of Ice volume mean??? It means the winter winds have piled the sea ice up into nice deep piles that are less likely to melt during the summer. Please engage brain before mouth. I have read what Steve said, and looked at his picture as well. Apart from your own personal opinion (and presumably Steve’s too? ), what evidence do you have that “the winter winds have piled the sea ice up into nice deep piles that are less likely to melt during the summer”? Please note that the image Steve presents at the top is merely the (doctored) output of a computer model! The graph you link to reveals that the surface temperatures in the far north have been above “normal” for the entire freezing season, sometimes by as much as 15 degrees Kelvin. Currently they appear to be about 20 degrees below zero Celsius, not “30 to 40”. I’m not sure why you mention it though, if temperature is in fact irrelevant. I am aware that “The Sun is NOT SHINING on the pole yet”, but it IS SHINING on the Beaufort Sea, which is what Steve appears to be on about in his all too brief article. Please provide some credible evidence for your assertions instead of incredible opinions. P.S. How do you define “amount”? Since you can’t actually see it without clicking the link, perhaps I should point out that the thicknesses in the Beaufort Sea range from around 3m in the North East down to around 1.75m in the South West. Which version of “the truth” do you choose to believe?